This was a retrospective study of adult patients with TBI admitted between April 2014 and December 2015 who received vancomycin. Population-based pharmacokinetic (PK) parameters using non-capped calculated CrCl and capped CrCl were compared with patient-specific PK parameters based on serum trough concentrations. Thirty-two patients with TBI were included in the study. ARC was suspected in 24 (75%) patients due to a median estimated CrCl at serum trough concentration of 167.3 (127.7–197.7) mL/min. The mean dosing regimen was 17.1 (13.2–19.2) mg/kg every 8 (8–8) h. There was no difference between the median measured trough concentration and predicted value using non-capped CrCl [10.4 (7.1–15.0) vs. 11.5 (7.8–13.7) mcg/mL; p = 0.7986]. The median measured trough concentration was significantly lower than the predicted trough concentration when calculated based on capping the CrCl at 120 mL/min/1.73 m2 [16.3 (15.3–22.0) vs. 11.5 (7.8–13.7) mcg/mL; p < 0.0001]. 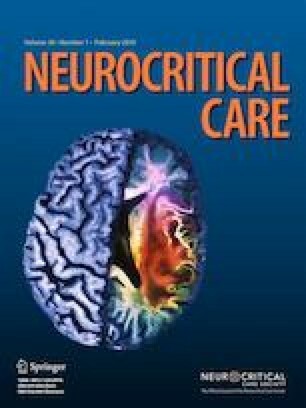 Patients with traumatic brain injury appeared to exhibit augmented renal clearance, leading to subtherapeutic vancomycin serum trough concentrations when doses were calculated using the traditional method of capping creatinine clearance at 120 mL/min/1.73 m2. Instead, utilizing patients’ non-capped creatinine clearance when determining a vancomycin dosing regimen is more accurate and provides a better estimation of vancomycin pharmacokinetics and could be applied to other renally excreted medications. All authors provided substantial contributions to conception and design, acquisition of data, and analysis and interpretation of data; drafting the article and revising it critically for important intellectual content; and final approval of the version to be published. No sources of support were provided for this research. No funding was received to carry out this study. This study received ethic approval by the Institutional Review Board at the University of North Carolina at Chapel Hill. This is included within the Methods and Materials section of the manuscript. Michaud L. Drug dosing and new measures of serum creatinine: clear as mud. HemOnc Today. 2010. Available at: https://www.healio.com/hematology-oncology/news/print/hemonc-today/%7B4bc077c3-ee73-4329-8187-a658eedcc61b%7D/drug-dosing-and-new-measures-of-serum-creatinine-clear-as-mud. Accessed 13 June 2018. Family Practice Notebook. Creatinine clearance. Available at: https://fpnotebook.com/Renal/Lab/CrtnClrnc.htm. Accessed 24 May 2018. McAuley D. Creatinine clearance calculator. GlobalRPh.com. Last updated 11/13/2017. Available at: www.globalrph.com/crcl.htm. Accessed 3 November 2017. Evidence-based Medicine Consult. Adult creatinine clearance (CrCl) calculator. www.ebmconsult.com. Available at: https://www.ebmconsult.com/app/medical-calculators/creatinine-clearance-crcl-calculator. Accessed 24 May 2018.